Berry Global’s Chicopee Microfiber Floor Care System won this year’s World of Wipes Innovation Award. Kimberly-Clark Professional recently upgraded its WypAll X60 wiper line. Freudenberg Performance Materials promotes its Evolon microfilament material in the industrial wipes market. New Pig’s Pig Grippy Floor Mats are adhesive-backed absorbent mats that take the place of the standard rubber-backed carpeted floor mats. 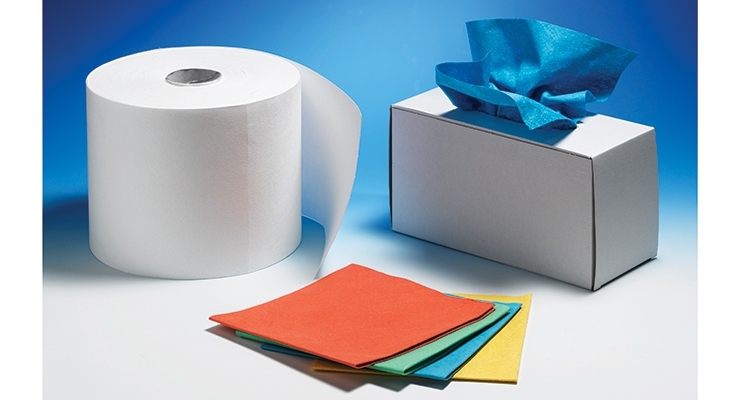 From manufacturing plants and the aerospace industry to foodservice and healthcare settings, nonwoven-based industrial wipes are more frequently replacing woven cloths and rags. With a nonwoven wipe or wiper, customers can expect cleanliness as well as consistency, unlike recycled rags and towels that can vary in size and can still be contaminated after being laundered. 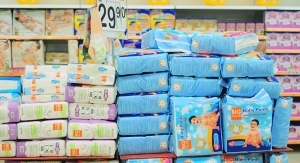 Nonwovens producers and wipes manufacturers are taking note of this growth. MDI, which is celebrating its 70th anniversary, is a family-owned and operated small business headquartered in Shelton, CT, and is a WBENC certified Women’s Business Enterprise. A majority of MDI’s offerings are produced under its own Pro-Series brand, which features a broad range of wiper grades, material compositions and packaging options. But MDI also manufactures a smaller portion of custom converting and private labeling services, all within a Quality Management System certified to the ISO 9001:2015 standard. Specializing in wipes for a range of industries including healthcare, critical environment, automotive and industrial, MDI recently launched its new Perf-Pak dispensing poly packs, a new custom packaging solution. This innovative packaging with unique perforated opening allows for one-at-a-time dispensing and ensures unused wipers stay clean and protected. Each Perf-Pak is individually labeled with lot number and bar code for inventory control at the unit level. These features are ideal for industrial vending systems that promote productivity, trace consumption and reduce inventory and administrative costs. Meanwhile, Berry Global is currently launching its Chicopee Microfiber Floor Care System in North America, which launched in Europe in 2016. The Microfiber Floor Care System won this year’s INDA World of Wipes Innovation Award. The line of disposable Microfiber Mop Pads for the system are made at Berry’s site in Cuijk, Netherlands. The Disposable Microfiber Mop Pad Super is pre-saturated in a charging bucket on a cleaning cart and used to clean a patient room in a healthcare facility, eliminating laundering and helping to reduce the risk of cross-contamination. The two other Disposable Microfiber Mop Pads available are used with Berry’s patent pending Fluid Mop System, where replaceable reservoirs within the mop dispense fluid onto the floor, which is then wiped with a mop pad. “The Chicopee Fluid Mopping System is a simple yet effective way to increase the speed of your floor cleaning process without compromising on quality,” Huston says. Users can refill replacement reservoirs in the janitor’s closet, which can then be stocked on the cleaning cart for easy access. “By eliminating the traditional string mop with mop bucket, users can control the amount of cleaning solution dispensed with a push of a trigger to reduce the risk of slip and fall hazards,” she says. As far as the technology, Berry’s Disposable Microfiber Mop Pads are made with splittable fibers using hydroentanglement technology. The company’s Apex 3D imaging technology is also being incorporated into the mop pad. This image delivers improved mopping performance, both wet and dry. Another patent pending design element added to the Floor Care System’s Microvelcro Mop Frame is technology that drives dirt and dust into the center of the mop pad, so the full mop pad is utilized, unlike traditional flat mop heads that collect dirt, dust and hair on the leading edge of the mop. 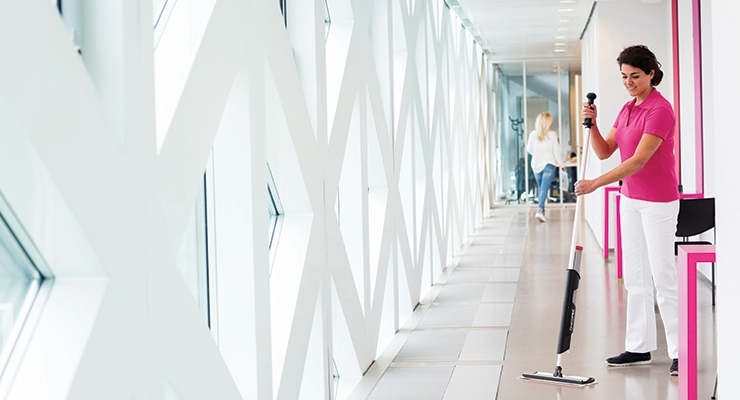 “So you’re not getting that leading edge; it’s fully engaging the mop pad so you’re getting improved efficient cleaning performance,” Huston explains. For its part, Kimberly-Clark Professional has been fine-tuning its WypAll line of wipers. The newly renovated WypAll X60 wiper line is designed to have better absorbency with enhanced efficiency when cleaning oil from grooves and crevices. According to Amit Rosenberg, associate marketing director, Safety and Industrial Channel, North America, Kimberly-Clark Professional, the new X60 offers a clean and consistent wiper every time, absorbs water two times more and two times faster than rags and leaves nine times less lint than rags. “Nonwoven wipers can deliver an engineered product that delivers the clean required with the least amount of material required,” Rosenberg says. As Kimberly-Clark Professional continues to boost its R&D work, it also continues to find new applications for its wipers. “We’ve seen a shift in the market to apply more task-specific wipers as new manufacturing processes require efficient and reliable cleaning,” says Rosenberg. 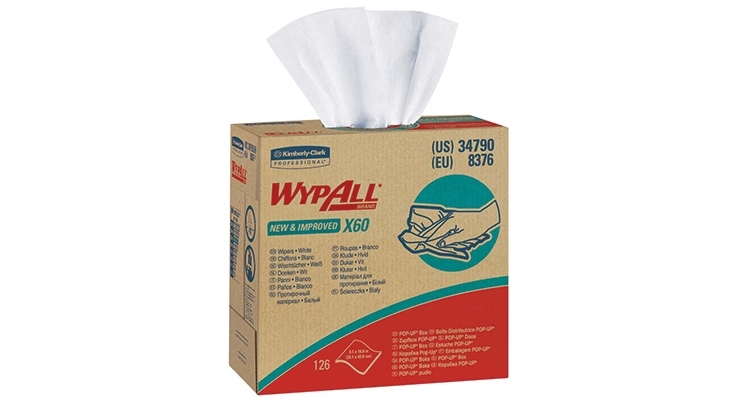 An example of this, he cites, is for premium applications such as in printing and food processing applications, where its WypAll X90 offers high durability, low lint and 99% solvent release properties, which wouldn’t be required in more general wiping applications. 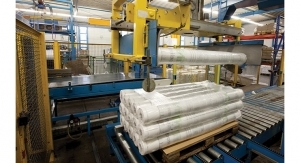 K-C Professional isn’t just seeing growth in the disposable wiping industry, but it’s also seeing the demand for textiles such as rags and shop towels declining, as companies strive for safe, efficient wiping solutions, while also trying to get out from under burdensome laundered towel shop contacts, Rosenberg says. “The emphasis to return manufacturing jobs to the U.S. as well as the need to have a trusted wiping tool for every task will continue to drive growth in the market and challenge manufacturers, like Kimberly-Clark, to continue to innovate for the future,” he adds. 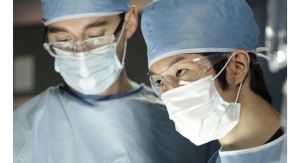 An industry where Berry Global is seeing strong growth is healthcare. Part of this growth is coming from the aging of the U.S. population, as well as the expansion of healthcare systems. Hospitals, outpatient surgery units and doctors’ offices are contributing to the growth of the use of nonwoven-based wipes in healthcare, Huston says. Other areas of growth for Berry are the industrial and foodservice sectors. 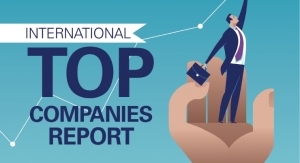 “Really, all the B2B industries that we’re participating in are seeing strong growth in the U.S., and in emerging markets, including South America and Asia,” she adds. Martin Mikkelsen, CEO of Jacob Holm Group, is also seeing growth driven by economies in certain emerging markets, as well as the increasing requirements for safety, hygiene and quality. Growth is being shown in general, but also more specialized categories. “Additionally, there is and continues to be an overall trend of moving away from textile rags to higher quality engineered wipers,” he says. Jacob Holm’s Sontara spunlace technology, which it acquired from DuPont in 2014, offers a broad range of specialty wipers for industrial wipes applications such as aerospace, automotive, cleanroom, printing and general purpose. In addition to continuously developing new products for new applications that it finds, the company is also investing in launching new products for existing applications as the product requirements are increasing year-by-year. “Many factors such as new regulations, increasing concern for worker safety, and higher concern for product safety are pushing for more regulated products and product properties supporting higher performance,” Mikkelsen says. Meanwhile, the growth for Freudenberg Performance Materials’ Evolon microfilament industrial wipes substrates is driven by the specialty market, for example, highly technical niches in which they can provide the “rare bird” fitting the most specific customer needs in high-performance cleaning and wiping. Evolon industrial wipes are being used in the automotive and aerospace industries, and in recent months, the substrate has found success in printer head cleaning thanks to Evolon’s exceptional lint-free behavior, mechanical stability, and ability to delivery constant and stable substrate impregnation, according to the company. Available in a wide range of weights, along with an endless array of unique-looking three-dimensional textures, designs, color-coding and prints, the high flexibility of Evolon industrial wipe substrates has allowed Freudenberg to continue strengthening its positions in high-performance industrial wipes with unique, custom-made products meeting the specific demands of its customers, the company says. Suominen has been aggressive in its new product development in the industrial wipes market. This year, the Finnish nonwovens supplier introduced several new innovations under its suominen@work line, which serves manufacturers of workplace wipes. Announced in January, Airlace for Workplace is a substrate solution for wet and dry applications. A combination of strength, absorbency and low linting with its blend of cellulose and synthetic fibers, and the integration of pulp, makes it ideal for cleaning oil spills and grease. Because of these features, the Airlace for Workplace nonwoven can be used for general purpose wipes. Its most recent innovation in the category, Genesis Pro All Purpose nonwoven substrates for general purpose professional wiping, leverages Suominen’s wetlaid heritage and builds on the company’s recent investments in wetlaid production technology at its site in Bethune, SC. Available in a range of basis weights, Genesis Pro All Purpose in its lightest form, AP5000, is the strongest material available, according to Eileen Calder, product manager, Suominen. Its unmatched absorbency speed makes it ideal for mopping up spills, cleaning down surfaces and keeping workspaces hazard-free. For the toughest tasks, Genesis Pro AP8000 offers protection for the end-user when dealing with metal shavings, as well as oil, grease and cleaning solvents. “It is the thickest nonwoven material for professional wipes, even when wet, making it a superior replacement for shop towels and rags,” Calder says. The portion of Suominen’s nonwovens targeting workplace wipes accounted for about 9% of sales during the first half of 2017, but during the company’s second quarter conference call, Nina Kopola, president and CEO of Suominen, said that she expects to see an increase for workplace wipes, as well as home wipes—the main targets of the line. On the converting side, High-Tech Conversions has been busy expanding its own line of industrial wipers. Most recently the wipes manufacturer added three new solutions to its Wicked Awesome Wipes line. Wicked Awesome 4-Ply Scrim Wipes are designed for applications that require an ultra-durable and absorbent wiper. Made from four layers of reinforced scrim tissue, they offer superior wet strength and exceptional overall wiping capabilities. Other new additions include Wicked Awesome White Wipes, made from hydroknit (cellulose/polypropylene blend), and Wicked Awesome DRC Cellulose Wipes, Blue, made from DRC (double re-crepe) bonded cellulose. Matt Hatfield, a representative from High-Tech Conversions, says the Wicked Awesome Wipes line is ideal for a variety of industrial wiping for cleaning liquids including solvents, oil and other lubricants, and are suitable for a range of surfaces such as glass, plastic or stainless steel. Meanwhile, New Pig, which specializes in workplace safety and spill containment products, has been promoting its newest versions of its Pig Grippy Floor Mats. Dan Silver, vice president of Product Development, New Pig, says Pig Grippy Floor Mats are adhesive-backed absorbent mats that take the place of the standard rubber-backed carpeted floor mats that have been supplied by rental companies for so long. “These rental mats get laundered repeatedly and degrade and distort over time leading to ripples, tears, and bunching. Plus, they slide and creep out of position constantly throughout the day, especially in high foot or cart traffic areas,” he adds. The mats are being used not just in manufacturing plants, but also in public-facing commercial businesses like supermarkets, retail stores, restaurants and also institutional spaces like hospitals, schools, airports, and sports venues. “These public facing facilities have huge exposure to general liability claims and Grippy Mats help make that go away,” Silver says. All variations of New Pig’s Grippy Mats are based on nonwoven constructions with specially formulated adhesives applied to impermeable barrier layers on the reverse side. Although nonwoven wipers are disposable, they’re not all single-use. Many wipers used in various industries such as foodservice can be laundered up to 50 times, and wipes manufacturers are offering heavy-duty wipers for customers who want to be able to use the product more than once. Berry Global’s proprietary Spinlace technology, which is being used for cleaning and applicator wipes, can be laundered around 10 times, while its heavier duty industrial wipes using spunlace technology can be laundered over 50 times. These types of wipes are mainly used in foodservice and industrial settings, Huston says, and Berry works with its customers to figure out what the best solution is for their operations. 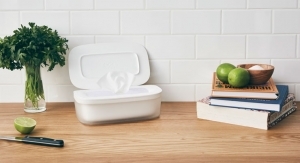 “Within foodservice, there are some disposable wipes that are single-use or single-shift, and then disposed of, but there’s also need for wipes that can be used seven or more days within a facility. 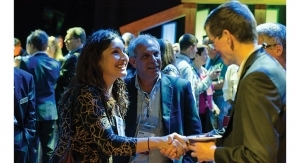 It’s really up to what their operations and performance requirements are,” she says. MDI’s reusable foodservice items are also designed for multi-day use. Its heaviest duty foodservice and industrial towels can also be laundered. “We work with our customers as much as we can to understand their processes and recommend the best solution at the lowest cost in use,” Dennis says. Also semi-disposable are Freudenberg’s Evolon lightweight wipes. The company says they can be used many times without sacrificing performance before being disposed. This has a very positive impact on saving raw materials and decreasing the amount of waste generated during the wiping operations. And, its heavier weight Evolon industrial wipes can withstand hundreds of wash cycles and still provide the same cleaning performance. 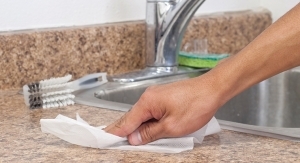 Manufacturers achieve FDA, EPA approval to show safety and effectiveness in certain wipes. 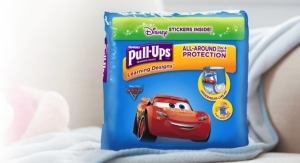 This segment of the wipes market continues to see innovation and growth.